Construction of the Air Canada Centre was started by the Toronto Raptors under its initial ownership group headed by Canadian businessman John Bitove. Groundbreaking took place in March 1997. 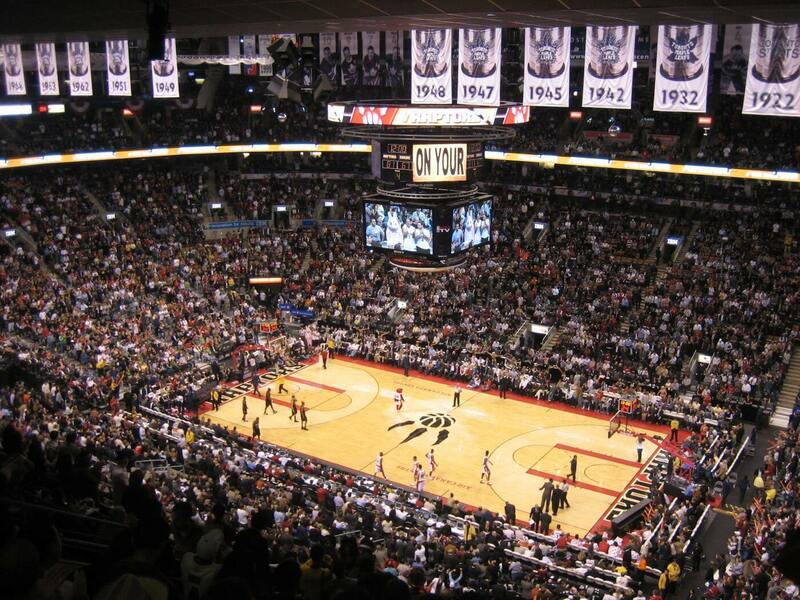 While construction was in progress, the Raptors and their partially completed arena were purchased by MLSE, which was contemplating building their own arena for the Maple Leafs to replace the aging Maple Leaf Gardens. MLSE subsequently ordered major modifications to the original design, which was basketball-specific, to make the arena became more suitable for hockey. Originally planned to cost $217 million ($295 million in 2015 dollars), MLSE increased the budget to $265 million after taking control. The Raptors were twice fined a million dollars which was donated to their charitable foundation by the NBA for missing deadlines to begin construction of their new arena. The Air Canada Centre (ACC) is a multi-purpose indoor sporting arena located on Bay Street in the South Core district of Downtown Toronto, Ontario, Canada. It is the home of the Toronto Maple Leafs of the National Hockey League (NHL), the Toronto Raptors of the National Basketball Association (NBA), and the Toronto Rock of the National Lacrosse League (NLL). It was also home to the Toronto Phantoms of the Arena Football League (AFL) during their brief existence. The arena is popularly known as the ACC or the Hangar (the latter nickname came from its sponsorship by Air Canada). The arena is owned and operated by Maple Leaf Sports & Entertainment Ltd. (MLSE), the same group that owns both the Leafs and Raptors, and is 665,000 square feet in size. In 2008, the ACC was the fifth busiest arena in the world and the busiest in Canada. Air Canada Centre is connected to Union Station and the underground pedestrian PATH system, providing access to public transportation (TTC’s Union subway station and GO Transit). There are also 13,000 parking spaces.